2 Would a new theme make my blog load faster? 4 Business Cards – What Site Do People Show? So, it’s time to review the week – yet again. At one level it’s been a very productive week, doing the work for my book-keeping clients, but my Internet and Hair Analysis work takes a hit. Never mind, at the moment the book-keeping is the more profitable! But I have made some progress – and the cloud by the side is a clue. Those of you who follow Jan Kearney’s blog will have read about the Cloudinary plugin, where you host your images on the Cloud, to speed up your blog’s image load time. Another cool feature of the plugin is that you can manipulate the images “in situ” and apply “effects”. Jan’s post goes into it all in far better detail, so read about it there. To try it out I applied rounded corners to my rectangular cloud picture 🙂 There’s much more you can do, including resizing – which is really useful. My main reason for trying Coudinary is for speeding up my blog – but a little image entertainment here will do me no harm. It took me a little while to get used to their rather clunky image uploading and tagging, but if it improves my health site’s load time I can certainly live with it. One thing I really like is that the images are stored centrally so I have access to the same images from both my blogs, instead of having to upload them to two WordPress sites and wonder where to find them. At the level I shall use the plugin it’s free, but there’s an upgrade for heavier users. Using Cloudinary is just a start for what I need to do on the speed front. I did some speed tests on my health site and it’s almost the slowest website on the Internet! Great….. NOT. 🙁 That’s something I’ll have to address when I’ve finished my paid work. I’m beginning to think I’ll need to abandon my “Pinterest-like” theme on that blog. But I’ve tried so many themes and that one was my favorite, apart from load time. Would a new theme make my blog load faster? Anyway – that’s not today’s problem. I’ll try some other tips suggested by Sue Worthington for speeding up my blog. She suggested them about a fortnight ago and I’m so far behind I’ve still to try those:-( Other progress has been adding a new squeeze page to offer a free sample of my minerals to prospective customers. I recently did some business networking with real live people, as opposed to my online friends. That has led to me getting my profile on a site for complementary therapists: Healer Zone. Even that has had its problems as there are meant to be sub-menus and it turns out that using Firefox, some people can see the sub-menus and some can’t. Happily that’s not my issue, but the owner’s (Jen Tiller). Jen’s another helpful lady who is patiently answering all my questions and encouraging members to share the site in general, and our profiles. I’ve got my videos up there, and after this blog post I’ll be heading over to try and load my first article. Then some sharing to be done! Business Cards – What Site Do People Show? While musing about meeting real people I’d value people’s opinions on something. I need some new business cards for my health business and I’ve ended up with so many different profiles and websites (blog, sales site, Facebook page, Pinterest, LinkedIn etc) that I wonder whether to just put the Healerzone site on? It does have the virtue of showing off several of my sites, plus the videos and articles as I add to them. Which of all the huge array of social networking sites do other people use on their business cards? Rescue Time is still recording my hours faithfully. The time I spend on email is scary, but much of my work is done by email, so it’s not all unproductive. However one good result that’s come out of logging my time has been that I was so horrified to realize I’ve been doing NO writing about Hair Analysis that it spurred me on to write the article I’m going to post at Healerzone. So – that’s been my week. Overall a positive week because of the paid book-keeping work, and I’m happy to have finally made some movement on the complementary health site too. Watch this space next week to see if I’ve made any progress on speeding up my blog! well, I feel so much better after reading your post. I thought I had a lot to do on my sites, but you sound like you won’t be booking another holiday anytime soon – lol. Serious, some good points raised – especially about time management. I think that’s something we could all learn heaps about and benefit from. Anyway – I’ve spent Sunday afternoon following some of Sue’s tips and looking at some of the other resources she quoted from. Although the site “looks” a bit faster, it may be wishful thinking. Also raised more questions that I’ve not managed to answer yet, but have put out a few technical support type queries. Yes, I’m still “plug-in” away !!! Thanks for dropping by and let’s hope I get to that holiday sometime. If this helps, Joy, I think you should be putting all your social media links on your business cards. It’s one of the main ways people will know where they can find you. I appreciate it may take up a bit more space, but if you have a double sided card design you can certainly find room for them. Also, make sure you put the full url of the links not just, for example, ‘Linkedin’ with a logo. You can get yourself a personal url for your Linkedin profile – if you don’t know how just ask me! Gosh – that’ll be a full card! That was why I was thinking of using a profile that includes them all – but then I suppose people wouldn’t KNOW they’d find my LI profile by going to the profile they’ve never heard of, so that kind of knocks that one on the head. Thanks for helping me to reach that conclusion! Thanks for the mention, Joy! And good luck speeding up your blog. If you run it through pingdoms tools (tools.pingdom.com) it will tell you which elements of your page are taking the longest to load – then you and work on speeding them up. In my case, the culprits are facebook and youtube, and I can’t do much about that! As for business cards – always (always, always can’t say that enough!) put your website – it’s your hub online and the only thing you have full control of. You can always add a second site too – for example your healerzone or a landing page for email sign up etc. Thanks for suggesting pingdom tools. Good news is that my squeeze page loads fast, and individual pages of the blog aren’t too bad, it’s the front page that is still appallingly slow even after yesterday’s blitz. It’s very image dense. Perhaps I need to try more Cloudinary-ing. Yes, will definitely put a website on cards, just working out which of the million (slight exaggeration) to use. Others have suggested including a landing page and FB, so I’m warming to the idea. Hi Joy, Thank you for sharing busy and very productive week. 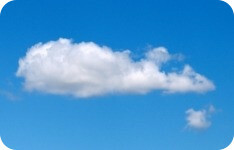 I especially interested in Cloudinary plugin. Congrats, on getting out from behind your computer and networking! I am also doing that and it’s open new doors of opportunities. Yes, overall I ended up feeling productive – although there’s always another job isn’t there? I am really paranoid about putting control to a Cloud for images. What happens if the service goes down? Do you lose all your images? I keep the images on my own PC, so I didn’t really see it as any more risky than putting them on my ordinary hosting company. Although it’s true that there are two points of possible failure – hosting AND cloud. Thanks for sharing, there are so many plugins aren’t there? it’s always nice to find a new one that is recommended. I’m pleased with the plugin and think it’s helped somewhat, although I have more to do! So is this Cloudinary plugin made your blog faster? To me, it seems to load fast here on my end. You know I just use my hosting service to load all my photos. I upload all my photos on that MEDIA library and that’s how I hyperlink all my photos on my blog. BTW, I like your “auto responder” where people enter their email address for your newsletter. So far, I don’t have too many signing my newsletter thingy. What do you think I should do? I like the “verbage” you write there to ENTICE people to sign in your email newsletter. What do you think I should do with mine? I think Cloudinary has helped a lot (it’s my other site, not this one), but I’ve put a new theme on it and I think I’m getting an idea what’s gone wrong – but I need to contact the theme support people for help before I “pronounce”. Thanks for your kind words about my autoresponder. If you’re not getting that many signups to your you could join the free challenge we’re having in the FB marketing group I belong to. I don’t think you have to be a member, but you do need a FB business page (on which you could put your sign up form). Joy, I have signed up. And yes, I do have a business FB page. I hope this help. Coz if not, I’m thinking about negotiating a FREE ebook of some sort regarding “Internet Marketing” to give away. Paid Social Media Jobs recommended that, by the way. You can negotiate to some of the author in Amazon asking them if you could give a free copy of their book which will PROMOTE their other books…and I think some authors like that. Hello Joy,I hope all is going well with your blogs loading time. I just finished a article about this same topic, it seems there’s a few people with the same problem. If you don’t mine me asking who is your hosting provider? if there’s anything I can do to help please just let me know. Thanks so much for a very interesting topic I hope you have a great weekend. You’ve written an interesting article, thanks (I just popped over to read/comment). The problematic blog (not this one) is hosted with Hostica. I had a similar problem with them once before and they “moved me to a faster server”. So that’s going to be my next mission. However, I’ve loaded a premium theme now, so just want to get that finished with first. Odd thing is that my individual pages load fast, but the home page takes for ever. Anyway, I have one or two clues/suspicions I’m working on! Hello Joy, I’m glad you found my post helpful. If your home page it the only one taking to long to load then at least you have a starting point. Maybe limit the content you have on your main page and see if that helps your loading time. Also try process of process of elimination, that always seems to work for me.You might have to change the structure of your layout and find what works best for you. Speed is one of the most important issues. Glad to see you worked on it. The prime focus is on to make the homepage load within 2 seconds or less. For reducing load time, one can optimize images, reduce queries, use good host, minify resources and use a cdn. I think the most beneficial thing that I have done is change my hosting company to be SiteGround. That’s made a big improvement!